Eastham - A Great Place to Live! Eastham's a great place to live. I think so, but you can't take my word - I live here. But the Boston Globe ran an article highlighting the 12 'best' places in the Greater Boston area to live in 2010. Like all these studies, they have their list of important criteria. One new factor was real estate value retention. This is an area where Eastham really shines. Eastham was the only town on Cape Cod that made the list. TAKE THAT, CHATHAM! (just kidding). Read the article in the online edition of the Boston Globe.... Here. The Globe correctly reported that Eastham's real estate has held its value very well since the 'peak' in 2005. Of note, the article mentions watching sunsets from Fort Hill. 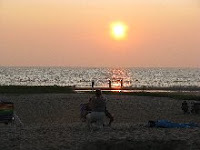 My favorite Eastham sunset places are First Encounter Beach and Rock Harbor (the Eastham side). There aren't many places on the East Coast where you can see a sunset over water. What Is Radon & Why Do I Care? You cannot see, smell, or taste radon. But it still may be a problem in your home. When you breathe air containing radon, you increase your risk of getting lung cancer. In fact, the Surgeon General has warned that radon is the second leading cause of lung cancer in the United States today. It comes from the natural breakdown of uranium in soil, rock and water and gets into the air we breathe. Radon typically moves up through the ground to the air above and into your home through cracks and other holes in the foundation. 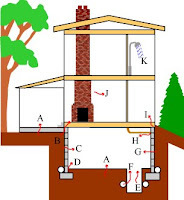 Radon can also enter your home through well water. Your home may even trap radon inside. Although the Outer Cape isn't thought to be a high risk radon area, it doesn't hurt to be a bit smarter about it. 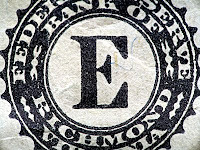 Check out the EPA's home buyers' guide to radon ... Here. We Love Free Ice Cream! I try not to spend too much time talking about specific commercial establishments (except RE/MAX Classic). But, the Eastham Ben & Jerry's ice cream store starts each season with a day of free ice cream cones. That day is this coming Tuesday, March 23rd, from 12 Noon to 8 PM. The opening of Ben & Jerry's is a great way to celebrate the coming of Spring. Family traditions are a strange phenomenon. When I used to bring my family out for a vacation, we had to go to B&J's a few times during the week, usually following a big dinner. My kids, now grown, insist on taking their kids (my grand-kids) to B&J's when they are out. Speaking of the ideal referral! I love it when the Outer Cape is featured in a national magazine. This time it's Yankee Magazine's March/April edition. Yankee ran an article highlighting the Outer Cape's wonderful off-season early Spring. The article starts it's journey in Orleans, with Rock Harbor and Nauset Beach and ends in P-Town, touching Eastham at the National Seashore Visitors Center and the Nauset Trail, and ending at P-Town's MacMillan Pier. Read the article, entitled "The Cape Wakes Up" ...Here. Every home is different. Every home has it's secrets, some more ugly than others. As part of the 'buying process' you need to do the first level of home inspection when you are viewing homes. HGTV's FrontDoor website has an article that lists the 10 'red flags' for homebuyers. It's only after you've considered these red flags and picked the 'perfect home' that you should hire a professional home inspector for a thorough inspection. As your Buyer's agent, I recommend a home inspection to all my buyer clients. I consider it to be vital to ensuring a minimum of surprises. I hate surprises. We have a new set of 'rules' for smoke detectors in Massachusetts, to kick-in on April 5th. When a home transfers in Massachusetts there needs to be an inspection, generally done by the fire department, ensuring the proper operation of both smoke detectors and carbon monoxide detectors. 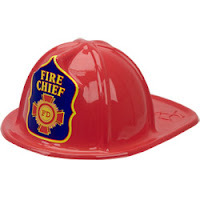 Smoke detectors come in 2 'flavors', a very sensitive ionization type and a photoelectric type. The 'problem' is that the ionization type is prone to false alarms due to excessive moisture and modest cooking fumes. The new regulations provide that only the photoelectric variety may be used within 20 feet of any kitchen or bathroom which includes a bathtub or a shower. These regulations should minimize false alarms, making for safer homes. Since most homes aren't so large as to allow for a smoke detector more than 20 feet from a kitchen or a bathroom, this rule effectively prohibits the ionization detectors in Massachusetts. Checkout these new rules ... Here. The Fed today pledged to keep their key interest rates at the near-zero level. In the 'old' days this would likely signal that conventional mortgage rates would remain at their current low levels. However, the Fed also announced that they will stop purchasing mortgage backed securities at the end of March. Some analysts had thought that mortgage rates would likely spike when the Fed stops, but some now feel that any rate increases will be minor. Read the story on the CNBC website.... Here. My April Eastham Newsletter Is Available Now! This issue has the Eastham results through February, in a year that is starting off looking pretty interesting. Also in this newsletter are two new listings, a discussion about home inspections, and links to a number of pages on my website. The Chambers of Commerce from Eastham, Orleans, Chatham, Brewster, and Harwich will host the 2010 Home & Garden Show at Eastham's Sheraton Four-Points on April 3rd this year. Last year's show was wildly successful with a full house of exhibitors and attendees. My wife & I researched our recent hardscape options at last year's event. Check out their website for a list of exhibitors and informative lectures. See you at the show! As you've been reading on my blog and in the papers, the beaches in Eastham (& Wellfleet, and Truro) took quite a beating during the recent storms. 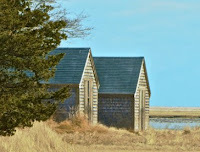 I came across this set of photos (link below) on the Great Beach Blog of the Beston Society of Cape Cod. The 'good news' is that the Park Service is determined to repair the stairs at Nauset Light Beach before the summer gets here. Scattered throughout the Cape Cod National Seashore are about 100 homes that belong to the Seashore as a result of the various 'deals' offered homeowners when the Seashore was created, in the early 1960s. These homes are located at the ends of long driveways and a few private roads. They have been used, over the years, by the Seashore as short-term rentals for their employees. Sadly, many of these pre-1960 homes have become dilapidated and dangerous due to the lack of routine upkeep and maintenance. Although they should be torn down, several problems have arisen that seem to prevent demolition. Read the story in the Cape Cod Times online edition...Here. Remember last summer's shark scare? Several great whites were hovering off Chatham's beaches, probably in response to the increasing numbers of Grey seals. Part of last summer's drama were the shark hunters who successfully tagged five of the sharks with electronic monitors, so they could track where the sharks went when the waters got chilly, and the seals went elsewhere. We now know the answer for two of the sharks. They went south, over 1000 miles, to Florida. Watch the video and read the story on Boston.com. On May 1st and 2nd there is a relay race from Quincy to P-Town that is definitely not for the casual runner. 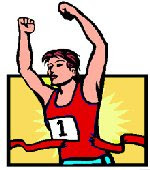 The race is 202.7 miles and will be run as 36 legs, with teams of 6 or 12 runners, with each runner doing approximately 33 or 17 miles each, respectively. The event runs 'straight' through the night. Brutal! And, there are over 250 teams signed up. Read about his relay in "the Day" e-newspaper of New London, CT. The race will run through Eastham on the Cape Cod Rail Trail (aka the bike path) except to a 'break' onto Nauset Rd for the end of a leg. Check out the relay at http://www.13relay.com/. 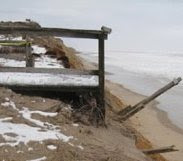 The Cape Cod National Seashore issued a press release that highlights the recent damage to the various Seashore facilities, most notably the stairs at Marconi Beach (Wellfleet) and Nauset Light Beach (Eastham). Read the press release ... Here. 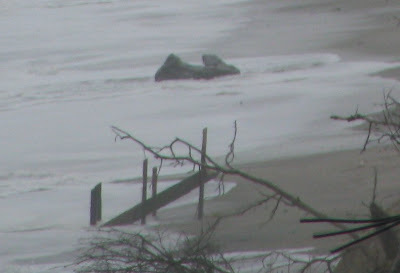 Also, below is the NPS photo of the erosion at Marconi Beach. 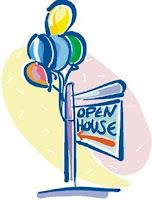 Open Houses - a Waste of Time? Many home sellers feel that open houses are a great way to get lots of potential buyers through your home in a short time. Some agents feel that open houses are a good thing also. I've done a number of open houses and my experience is that they aren't a good use of my time and tend to be attended only by neighbors. I found this blog entry that fairly well summarizes both my experience and my feelings... read it Here. Today was a wonderful reprieve from the cold, wet, days we've been having. We had bright sunshine and temperatures into the low 50's. 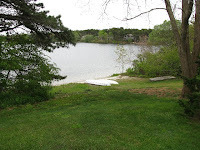 While I was at my newest new listing (see below) placing signs, I took a look at Herring Pond. The swans are back! 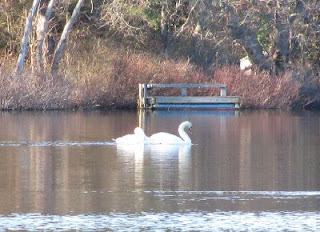 They show up on the ponds roughly March 1st, 2 to a pond (there is a pair on Great Pond also). Check them out..
EASTHAM - NEW LISTING - This is a once in a generation opportunity to own a large beachfront parcel of land directly on crystal clear Herring Pond in Eastham. This well maintained 4 bedroom, 2.5 bath, 2030 sqft house dates back to the early 1700s and has the charm consistent with its long history. Swim or kayak from your approximately 100 ft private beach. 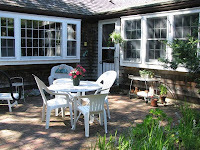 Enjoy the views of Herring Pond and Nauset Marsh and First Encounter Beach. This property includes a separate buildable 3 bedroom pond front lot, so you can create a family compound or simply sell it. Go to http://30LawtonRd.RobertSheldon.com for more photos, a virtual tour, a map, and more information. 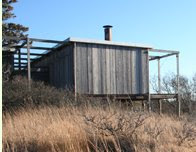 The Hatch cottage in Wellfleet looks to be the next cottage preserved by the Cape Cod Modern House Trust. The Hatch cottage was built in 1960-1962 and is considered to be one of the purest examples of a Cape Cod Modern style of architecture that peppered the Outer Cape landscape in the 1950s, 1960s, and 1970s. The Trust has been saving these homes from certain condemnation and demolition since they are owned by the Cape Cod National Seashore. Check out the story on the Cape Codder's website. Also, go to the Cape Cod Modern House Trust's website... http://www.ccmht.org/. And check out the Modern Cape Cod website. 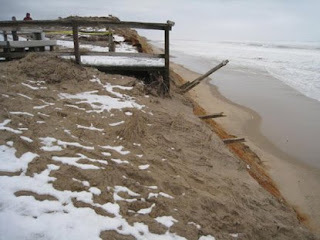 Photo of the Day: Nauset Light Beach Stairs - Gone! I stopped by Nauset Light Beach this afternoon to check on the stairs to the beach. I had heard a rumor that the stairs had suffered during this past weekend's storm. Well, the rumor was correct. What I could see of the stairs were the top platforms, with yellow Caution tape preventing folks from getting too close, and a remnant at the bottom (see photo). The ocean beaches take the full force of the ocean every day and have for millions of years. The bluffs will move back about 3 ft a year on average. Some years nothing, some years 15 ft. This year has been tough. I'm not particularly worried about the beaches, but the stairs are a problem. The Seashore will need to fix them before the summer crowds arrive. Eastham - New Listing - 340 Captain's Way - Here is a large, well maintained, 3 bedroom, 2 bath Cape style home with plenty of privacy. The extra large family room, with lots of built-ins provides a great space for all your family time. There also a living room with fireplace, a separate dining room, a large eat-in kitchen w/separate pantry and a one car garage. This home is on a wooded half acre in a nice quiet Bayside neighborhood. This home is being offered at $489,000. Check out this home (and see a virtual tour, a map, and more photos) at http://340CaptainsWay.robertsheldon.com/. A Cape Cod author, Christopher Setterlund, continues his series of articles that he calls "In My Footsteps" with a visit to Chatham. Christopher visits a number of Chatham's tourist attractions including the Chatham Lighthouse, Stage Harbor, and Morris Island. He also discusses the importance of the Monomoy National Wildlife Refuge. Oh yes - he went to the village also. Check out the article on the In My Footsteps blog. Winter is an interesting time on the Outer Cape, particularly for photographers. 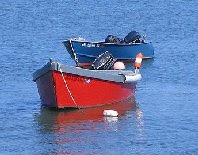 Connie Gregory, of Plymouth, took a series of photos in Eastham that I thought was outstanding. The winter light, and some snow cover, makes the familiar Eastham landmarks seem very stark. Check out Connie's slideshow. How about a big-screen comedy/love story, set in 1912, in Eastham? A new motion picture (a talkie! ), starring Blythe Danner and Richard Dreyfuss, is called The Lightkeepers and is a story about a pair of lightkeepers (Nauset Light?) 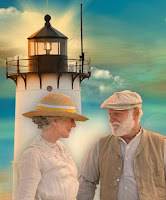 who have sworn off women but find themselves attracted to a pair of vacationers who rent a cottage near the lighthouse. The writeup sounds cute. Much of the filming was done in Chatham. The film opens on March 19th and is rated PG. Go to the movie's website ... http://www.thelightkeepersmovie.com/ for a video trailer and all the standard stuff (poster, photos, etc). But the Nauset Lighthouse is red and white. That wasn't always the case. It received the red stripe in the 1940s. The current structure was moved from Chatham to Eastham in 1923. So, in 1912 the single lighthouse that stood on the bluff overlooking Nauset Light Beach would have been one of the wooden 3 Sisters that sit about a quarter mile west on the current lighthouse. 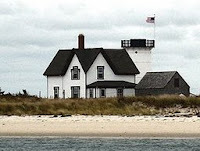 Go to the Nauset Light Preservation Society's website to get the light's history. February has always been a low sales month in Eastham. February sales generally reflect buyer activity in late November and December - "holiday season". This February was not exception, with this year matching last in the number of closed sales. The median sale price in February was $379,500. March 1st - The Beginning of Spring? On the 1st of March I generally declare that spring is just around the corner. I know that the official 1st day of spring is about 3 weeks from now, but anything Mother Nature throws at us now will disappear very quickly. That said, Mother delivered up a surprise last night. We got 2 to 3 inches of the white stuff. But, with the temperatures at 7 AM already at 35, the snow should vanish quickly. The last few weeks have been good to Eastham and the Outer Cape - while a good portion of the mid-Atlantic and the Northeast have been hammered, we got only rain. Check out the webcam image from this morning at Coast Guard Beach. 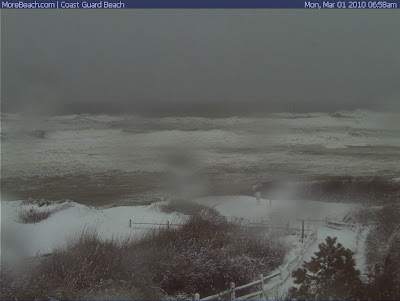 The link to the Coast Guard Beach webcam is Here.